Here is a list of all the books I read in the last twelve months, plus a statistical breakdown. Because I am a nerd. Last night, I finished reading In the Distance with You, by Carla Guelfenbein (review pending) and it set me to thinking about books in which the protagonists dig up the buried secrets of authors they love. The more I think about it, the fact that I really enjoy books about people diving into authors’ lives to understand this books is odd. When I read, I deliberately try not to learn about authors’ lives or processes because I feel like a book needs to stand on its own. But that’s literary criticism and this is reading books with layers of bookishness. This one was really popular when it came out and, every time I talk to someone who’s read it, readers gush about this disturbing Gothic tale. I’ve read this book several times and I still get sucked into the twists and turns. In this book, a biographer is summoned to the remote home of an enigmatic author. This author has told a bunch of different stories about her past as a smoke screen, but now that she’s gotten very old, she’s finally going to tell the truth. This thriller gets more sinister by the chapter. It blows the cover off a bunch of authors’ secrets by following a group of Finnish writers as their circle disintegrates after their mentor disappears. The plot revolves around the question of where authors get their ideas and turns it into a deliciously brutal tale. This is another classic pick. It’s the first literary novel that I can remember reading that was as engrossing as genre fiction. Within chapters, I felt like I was racing around Barcelona with the protagonist as he tried to find more books by an author who seemed to vanish into thin air. The best part of this book, which is the first in a loose series, is the Cemetery of Lost books—a place so magical and full of gravitas that I wish I could be buried there when I shuffle off*. This one isn’t exactly a book about authors with secrets, but it is one of my favorite books about writers. It’s hard to tell who is the real author in this book because the two protagonists appear to be writing each other into existence. Crossing the Lines is beautifully creative and original. I wish it got more attention. * Here’s a bad joke: old librarians don’t die, they’re just deaccessioned. The plot of this book is decent, but it’s mostly a vehicle for the main character to explore the world of haute Chinese cooking. This novel is a story of developing self-acceptance through exploring a family’s culinary heritage. Because this is one is not only delicious to read, but also because it’s about food and the importance of self-indulgence. I frequently re-read Chocolat just because of the descriptions of the confections. This book would be great for food and history lovers. It tells the story of a Roman aristocrat’s chef, whose recipes ended up in one of the oldest known cookbooks in the world. Pirates and food! The main character has to create great food everyday, or the captain will kill him. Nicole is magically transported to ancient Rome. There, she learns to take charge of her life and her tavern. This features less cooking than Feast of Sorrow, but it’s still historically interesting. 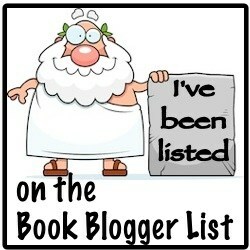 Lo, these many years ago, I started a book blog. Since the blog (in all its incarnations) was launched around the end of August, I use September 1 as the blog’s birthday and celebrate by completely nerding out and rounding up my book stats.